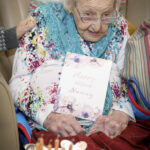 A bingo-loving great-great-grandmother who was born in 1917 when the First World War was at its height, Buffalo Bill Cody died and Houdini performed his buried alive trick has celebrated her 102nd birthday. 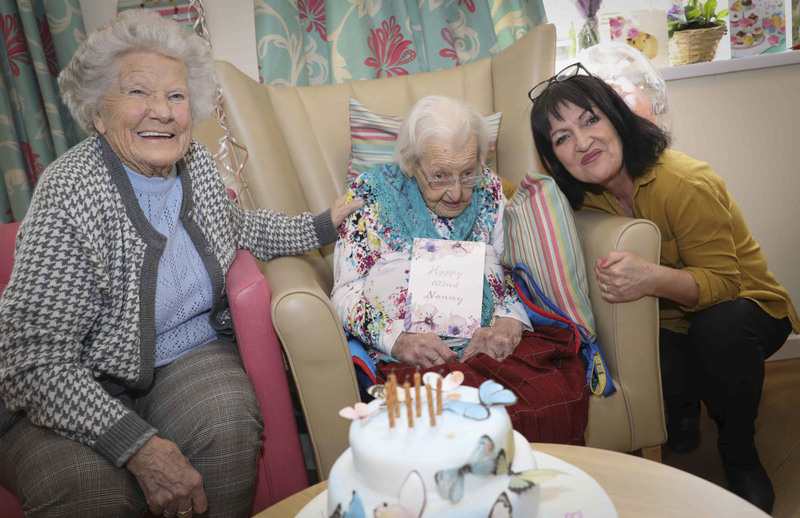 Widow Gertrude Jones and her 90-year-old little sister, Gwen Davies-Barrett, held a small family party at Pendine Park’s Hillbury Care Home in Wrexham where they both now live. According to the former Sunday School teacher, avoiding alcohol and cigarettes were among the secrets of a long life. Her birthday cake was decorated with the number of days she has been alive – 37,255. 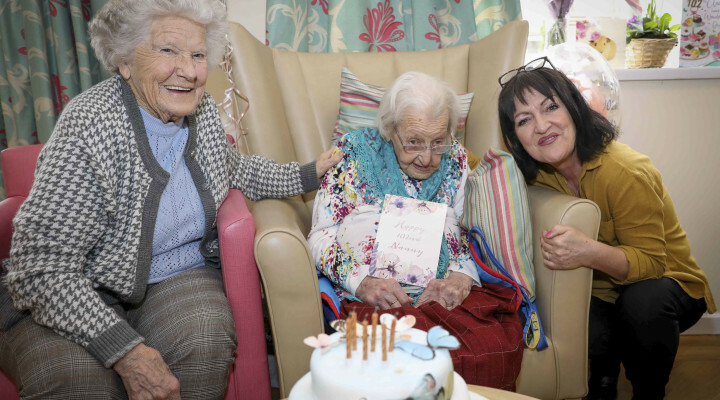 Avoiding alcohol and cigarettes were among the secrets of long life for a great-grandmother who has celebrated her 102nd birthday. She has been resident of Hillbury for the past seven years and volunteered in the charity shop at the town’s Nightingale House Hospice until she was 92. Daughter Kath Teburi said: “Mum is still doing well although she has had a few ups and downs this year. She doesn’t say a great deal these days although she still keeps the Hillbury House care practitioners on their toes! 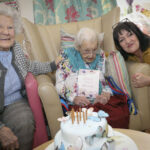 “It’s good Gwen has now moved in and joined her sister as a resident at Hillbury House. It means they see each other every day and can keep each other company although mum trends to sleep a lot these days. Gertrude, whose maiden name was Wright, married Herbert Lee Jones who was a maintenance worker at Wrexham’s army barracks and they had four children. “It was just lucky that my grandfather moved his family, including my mum to Wrexham as he got a job in the town all those years ago. They lived in Salop Road. Mum went to was the National School but that’s now called St Joseph’s. Sister Gwen enjoys the fact she can see Gertrude every day now she has herself moved into Hillbury House. She said: “It’s great, Gertrude does sleep a lot these days but we do talk about our younger days. I travelled a great deal and lived in different places but its nice now being home and settled. Hillbury manager Cindy Clutton said: “Gertrude is very popular with both residents and staff. 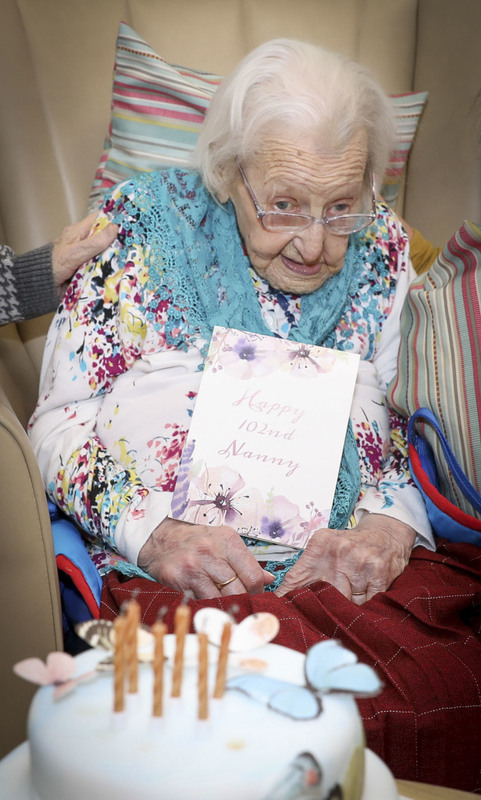 It’s an amazing achievement to reach 102 years young. She is quiet these days and has been a bit poorly on occasions this last year. “However, she takes everything in her stride and always lets us know what she wants or if she isn’t comfortable. This entry was posted in Community, Health, History, News. Bookmark the permalink.